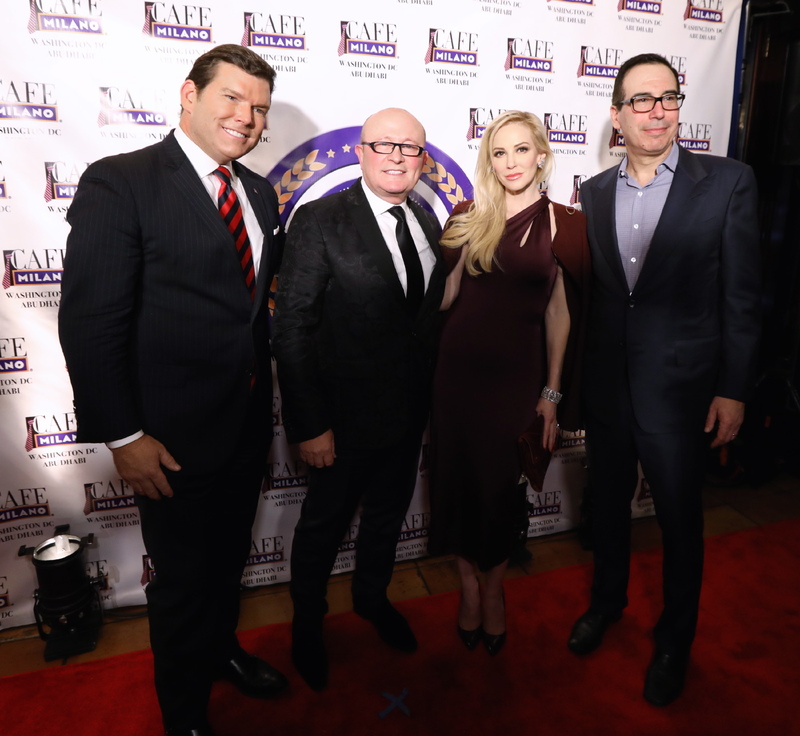 Cafe Milano, the legendary DC restaurant famous for being the haunt of politicians, dignitaries, celebrities, and the media elite, celebrated 25 years in the spotlight Friday evening with a fantastic fete. Scores of politicians, dignitaries and celebrities joined in the celebrations at Café Milano, with the massive gathering shutting down an entire block of Georgetown. Well-wishers and guests throughout the evening include Maureen Dowd, Michael Jordan, Treasury Secretary Steven Mnuchin and Louise Linton, Maureen Scalia, Wolf and Lynn Blitzer, Sally Quinn, Mark and Sally Ein, Bob Johnson, Mayor Muriel Bowser, Susan Rice, Betsy Fischer Martin and Jonathan Martin, Buffy Cafritz, Heather Lauer, Vernon Jordan and Kathleen Biden, Ret. Gen. Jim Jones, Raul Fernandez, Hilary Rosen, Kelley McCormick, Tammy Haddad, Jack Evans, Coach Kathy Kemper, Carl Hulse, Anne Brady Perron, Rick Powell, Robyn Bash, Bret and Amy Baier, Steve Clemons, Patrick Steel, Fred Ryan, Kevin Cirilli, Ryan Williams, Howard Fineman, Teresa Davis, Greta Van Susteren and John Coale, Amb. Yousef Al Otaiba, Lyndon Boozer, Dr. Tony Fauci, Tim and Anita McBride, Connie Milstein, Melissa Sowerwine, and Cardinal Theodore McCarrick. 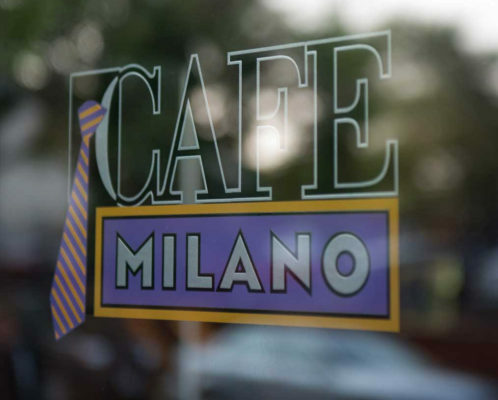 Friends of Cafe Milano suprirsed Nuschese with a 13-minute tribute video, including cameos by Hillary Clinton, Greta Van Susteren, Bob Woodward, Ellen Tauscher, Tucker Carlson, Bret Baier, Newt, Sally Quinn, Charlie Rose, Terry McAuliffe, Jenna Bush Hager and Barbara Bush, Norah O’Donnell, Dave Chappelle, and Bo Derek. We are extremely honored to join countless Washington diners and visitors from around the globe in congratulating Café Milano on 25 years of food, friendship, and comfort. Our heartfelt wishes for many, many more! UPDATE: Please check the event coverage from the Washington Post’s Roxanne Roberts! 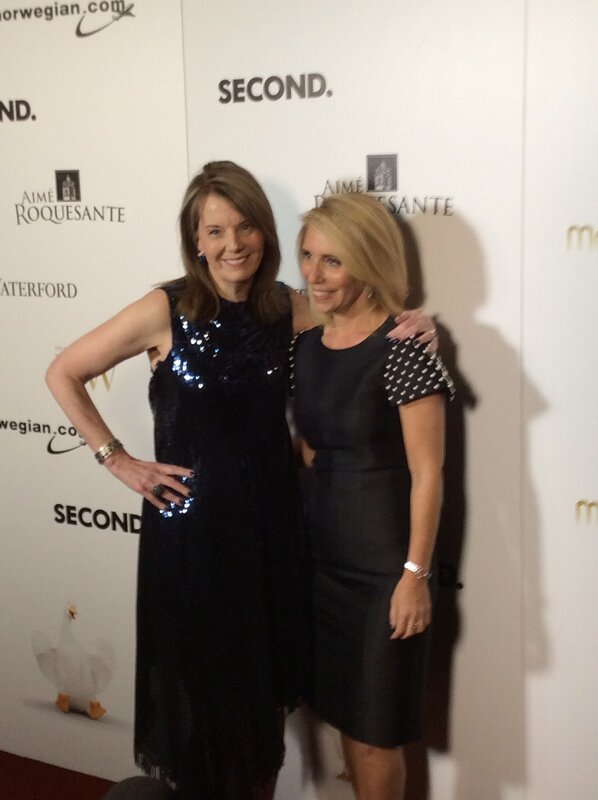 Carol Melton and Dana Bash. Photo courtesy Dana Bash. A DC Cheer to Carol Melton, Time Warner’s Executive Vice President for Global Public Policy, for being named to Moves Magazine annual Power Women list. Honored at a year-end celebration gala held in Manhattan on November 10th, Melton is one of 25 women chosen this year who represent Moves Magazine mission of advocating for women’s rights, social fairness and equal opportunity. The gala was hosted by acclaimed actors, Gugu Mbatha-Raw and Isabelle Huppert, and the audience was treated to a live performance from international opera star James Valenti and Michelin star dining by chef Laurent Tourondel. Melton was chosen for leading by example and being a role model for future generations. As EVP for TimeWarner she is responsible for overseeing the Company’s policy offices in Washington, D.C., London, Brussels, Hong Kong and Buenos Aires. 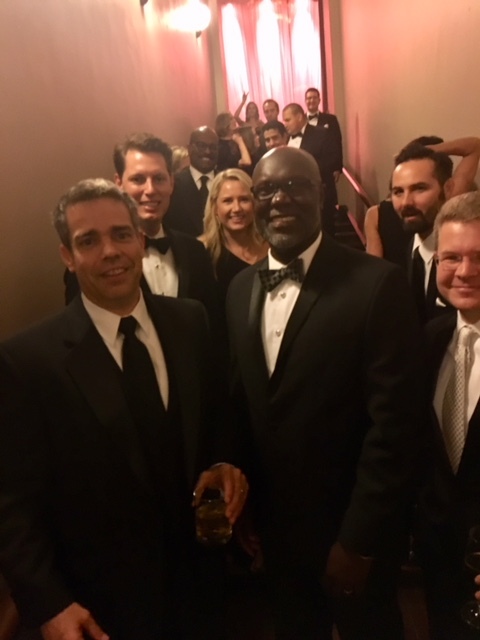 Melton serves on the Board of Trustees of JBG Smith Properties (NYSE: JBGS), the Board of Directors and First Vice President of the Economic Club of Washington, D.C., as well as the Boards of start-up incubator Halcyon and the Phillips Collection. She is also a member of the Council on Foreign Relations. Washington’s landmark eatery Café Milano is celebrating 25 years as an oasis for politicians, dignitaries, celebrities and the media. Franco Nuschese first opened his doors welcoming Washington to dine at Café Milano on November 3, 1992 — the same day Bill Clinton was first elected President of the United States. Since that time, both Bill and Hillary Clinton have regularly visited the landmark restaurant, even hosting the former Secretary of State’s 70th birthday earlier this year. Café Milano serves over 3,750 authentic Italian meals every month, going through 50 pounds of tomatoes and 40 pounds of pasta every single day. 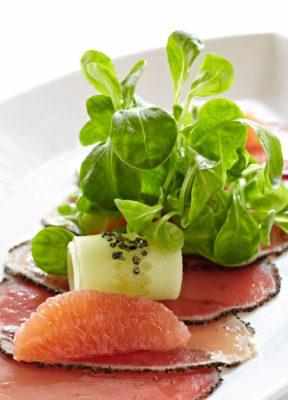 Their fabulous dishes are pure delights using fresh, authentic ingredients largely hand-crafted and flown in multiple times a week from local producers in Italy. The restaurant’s tomatoes are hand-bottled in glass jars in a small farm located in the Campania region, while their olive oil is produced in Tuscany with antique cold-press techniques. The delicate burrata cheese is imported twice weekly from Puglia, where the butter-like delight was born. Even the restaurant’s fantastic wines are brought in directly from Italy, crafted in both the southern Campania and central Toscana regions. Restaurant owner Franco Nuschese shows incredible pride in his food, focusing on fresh and simple dishes that create smells and tastes similar to those from his home on the Amalfi Coast. One of Nuschese’s favorite meals is a simple pasta al Pomodoro, a pasta with tomatoes, olive oil and fresh basil. 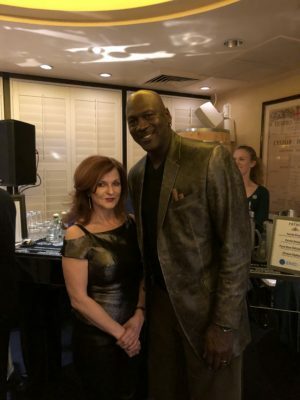 Scores of politicians, dignitaries and celebrities have dined at Café Milano over the past quarter century, including Michael Jordan, Alex Ovechkin, Yogi Berra, Danny DeVito, Sophia Loren, Quincy Jones, Catherine Zeta Jones, Bradley Cooper, Jon Voight, Eva Longoria, Morgan Freeman, Bill and Hillary Clinton, Renee Zellweger, John Kerry, Leonardo DiCaprio, Chris Matthews, Nancy Pelosi, Colin Powell, Valerie Jarrett, Newt Gingrich, Vice President Joe and Dr. Jill Biden, and Wolf Blitzer. The restaurant also has served its delicious cuisine to the enjoyment of two popes – Benedict XVI when visiting the Washington, and Francis at the Vatican. We are extremely honored and proud to join countless Washington diners and visitors from around the globe in congratulating Café Milano on 25 years of food, friendship, and comfort. Our heartfelt wishes the upcoming quarter century are as fantastic and memorable as the past. Friends of Franco Nuschese put together a surprise tribute video to celebrate 25 Years of Cafe Milano! 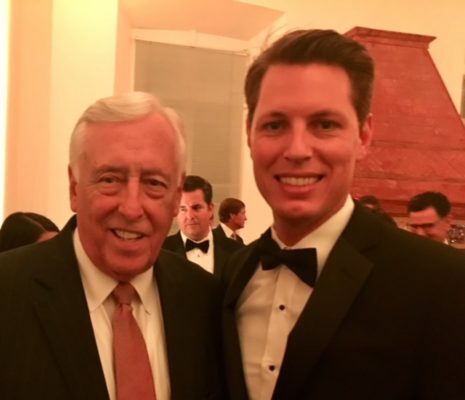 The Radio & Television Correspondents’ Association brought together hundreds of journalists, politicos and business leaders Wednesday evening at the National Building Museum in Washington, DC for the 73rd annual Radio & Television Congressional Correspondents’ Dinner. 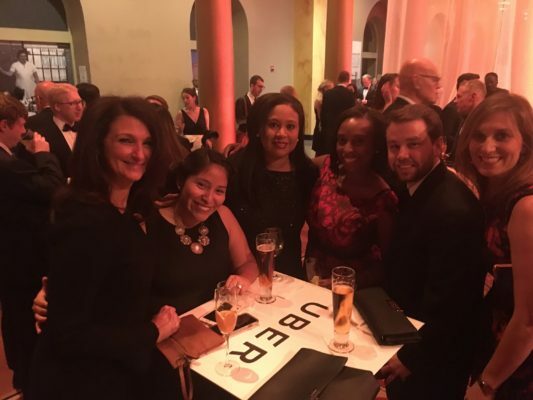 The evening began with a reception hosted by media champion Uber. The Speaker turned to a more serious topic, addressing the role of a free press in our nation. While the White House dismisses stories critical of the administration as “fake news,” the Speaker praised the work done by the media and the central role journalists play in our system of government. IHeartRadio’s Bobby Bones was the Master of Ceremonies for the evening, with headline entertainer and correspondent for Comedy Central’s “The Daily Show with Trevor Noah” Roy Wood, Jr. making fun of all parties with a great riff on the importance of trust. Guests included House Democratic Leader Nancy Pelosi, House Majority Leader Kevin McCarthy, Senator Joe Manchin, Rep. Mark Meadows, Wolf Blitzer, Dana Bash, Craig Gordon, Ryan Williams, Brian Lamb, Sara Murray, Gloria Borger, Justin Kintz, Jimmy Kemp, Kenny Day, Bill Gibbons, John Parkinson, Robin Sproul, Sam Feist and Kevin Cirilli. Get some popcorn and watch the entirety of the 73rd Annual Radio & Television Congressional Correspondents’ Dinner courtesy of C-SPAN here. Tuesday evening, celebrities and veterans alike gathered at the Kennedy Center to view legendary documentarian Ken Burns’ newest masterpiece, “The Vietnam War.” This latest offering, sponsored with generous support from Bank of America, displays the southeastern Asian conflict in a comprehensive fashion, covering the war and societal tensions from numerous viewpoints both on the battlefield and back home. Guests were treated to a sneak-peek screening that drew from throughout the series’ 18 hours. Chart-topping Denver-based band The Lumineers also took the stage to perform a song they wrote for the film. The project was ten years in the making and will surely be a gigantic smash when the first installment premieres Sunday, September 17th at 8PM EST on PBS. The series will be aired on the network in 10 weekly installments. 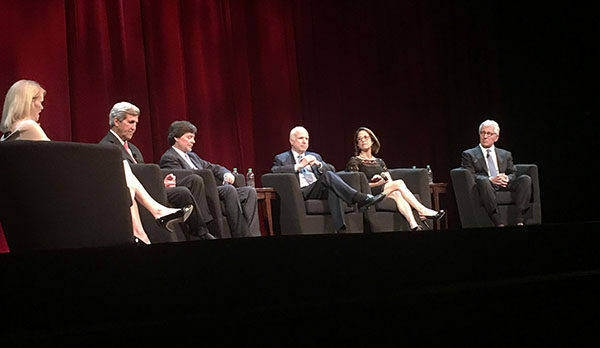 Culminating the evening, Burns and co-director Lynn Novick took to the stage in a question-and-answer session along three notable Vietnam veterans — John McCain, John Kerry and Chuck Hagel. The panel was moderated by ABC News chief global affairs correspondent Martha Raddatz. Arizona Senator McCain highlighted the importance of remembering the impact of the conflict in today’s global climate. McCain spent more than five years as a prisoner of war in Vietnam, after being shot down while flying navy ground-attack aircraft over Hanoi in October 1967. Former defense secretary and senator from Nebraska, Hagel agreed on the importance of both the documentary and the lessons it teaches. Hagel received two Purple Hearts while an infantry squad leader in the War. Former Secretary of State and Massachusetts senator Kerry pointed out the importance of diplomacy and honesty in crisis events. Kerry was awarded combat medals including the Silver Star Medial, Bronze Star Medal and three Purple Heart Medals for his service in the Naval Reserves serving four months in South Vietnam. Longtime Ken Burns supporters Bank of America sponsored the film and premiere event. Burns gave a shout out to longtime friend Anne Finucane, Bank of America’s Vice Chairman. Ken Burns and Lynn Novick’s ten-part, 18-hour documentary series, THE VIETNAM WAR, tells the epic story of one of the most consequential, divisive, and controversial events in American history as it has never before been told on film. Visceral and immersive, the series explores the human dimensions of the war through revelatory testimony of nearly 80 witnesses from all sides—Americans who fought in the war and others who opposed it, as well as combatants and civilians from North and South Vietnam. 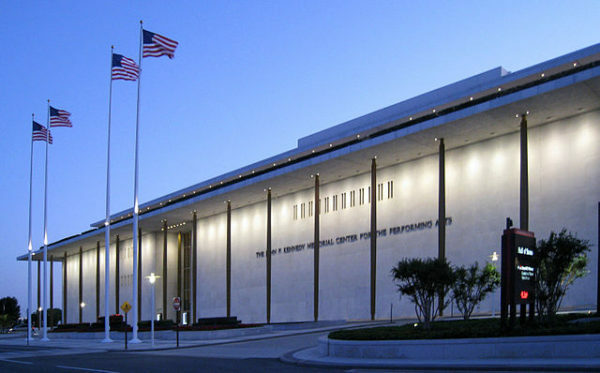 Ten years in the making, the series includes rarely seen and digitally re-mastered archival footage from sources around the globe, photographs taken by some of the most celebrated photojournalists of the 20th Century, historic television broadcasts, evocative home movies, and secret audio recordings from inside the Kennedy, Johnson, and Nixon administrations. THE VIETNAM WAR features more than 100 iconic musical recordings from greatest artists of the era and haunting original music from Trent Reznor and Atticus Ross as well as the Silk Road Ensemble featuring Yo-Yo Ma. Photo courtesy Cara Mund via Twitter. Celebrations and congratulations flowed Sunday night in Atlantic City as Miss North Dakota, Cara Mund was crowned 2018’s Miss America. Last night was the first time in pageant history that Miss North Dakota has ever won the coveted tiara. A Brown University graduate heading to law school following her reign, Mund said she hopes to one day become the first woman elected governor of North Dakota. She showed political savvy and determination when asked about President Donald Trump’s decision to withdraw the U.S. from the Paris climate accords earlier this year. She told reporters at Boardwalk Hall following the ceremony that it was her desire to provide a factual and honest answer to the question posed, instead of glossing over her answer. Behind Mund, the other top five 2018 Miss American contestants were first runner-up Miss Missouri Jennifer Davis, second runner-up Miss New Jersey Kaitlyn Schoeffel, third runner-up Miss District of Columbia Briana Kinsey, and fourth runner-up Miss Texas Margana Wood. The panel of judges for the 2018 pageant included country singer Thomas Rhett, actress and author Molly Sims, Grammy-nominated singer Jordin Sparks, People Magazine’s editor in chief Jess Cagle, CEO of AfterBuzz TV Maria Menounos, Miss America 2014 Nina Davuluri and Olympic gold medalist, Tara Lipinski. 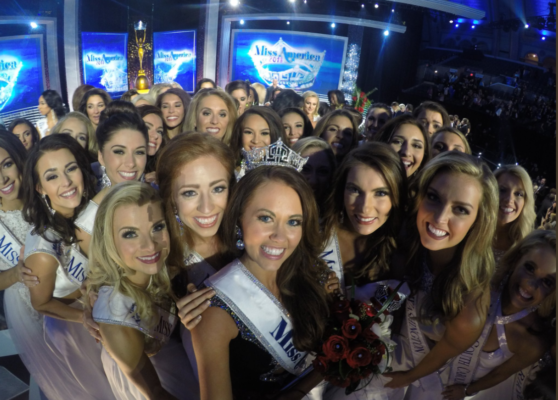 The Miss America Organization, alongside The Miss America Foundation and its 52 licensed organizations, is the nation’s largest provider of scholarship assistance to young women, awarding millions annually for young female scholars across the country and around the world. The Foundation provides academic and community-based scholarships for undergraduate and graduate studies, as well as endowed scholarships for young women entering medical school, working in special areas for military service awareness and the performing arts. President Donald Trump and first lady Melania Trump will not attend this year’s annual Kennedy Center Honors in December. Several honorees had said they would boycott the White House reception. Both dancer Carmen de Lavallade and television producer Norman Lear had announced they would not attend that portion of the celebration. “In light of the socially decisive and morally caustic narrative that our existing leadership is choosing to engage in, and in keeping with the principles that I and so many others have fought for, I will be declining the invitation to attend the reception at the White House,” de Lavallade said last week, prior to the White House announcement. This will be the fourth time a sitting president is not in attendance at the Honors, following Presidents Jimmy Carter in 1979, George H.W. Bush in 1989 and Bill Clinton in 1994. All three former presidents had attended the annual celebration other years while in office. Photo courtesy AFS-USA Intercultural Programs. 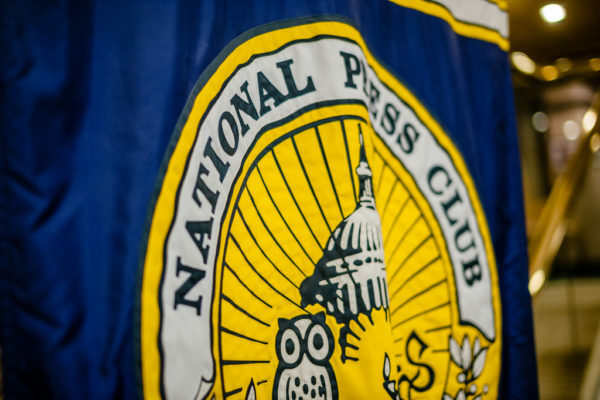 The White House Correspondents Association will be honored by the National Press Club and its nonprofit Journalism Institute with its John Aubuchon Press Freedom Award. The press corps of Mexico is this year’s foreign recipient of the Press Freedom Award. Rachel Greenberg interviews Mark Testoni, President & CEO of SAP NS2 | NS2 Serves. Photo courtesy Haddad Media. 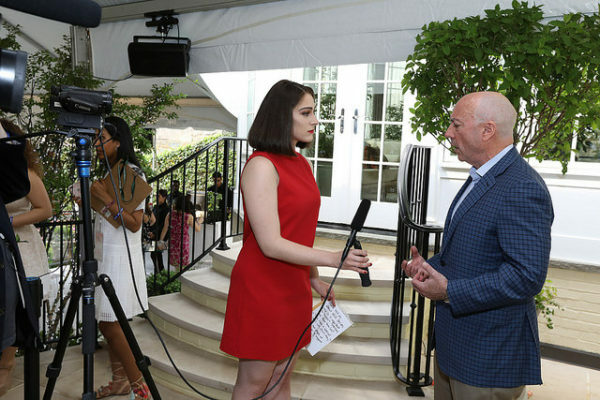 In the latest episode of Volta Insider, Rachel Greenberg interviewed several prominent attendees of the 2017 White House Correspondents’ Garden Brunch. This year’s Garden Brunch was dedicated to honoring military veterans and their families and celebrating a free press. Greenberg provides insight into the themes of the Garden Brunch talking to elected officials, media titans, and some of the leading champions for military veterans. Rep. Darrell Issa had creative advice for those interested in pursuing a career in politics, “My advice [to young, aspiring journalists or politicians] … is to do something else first. Really, the breadth of talent of people that go straight into politics, straight into journalism, there’s plenty of them. The outliers — the people that make a difference — are the people that come with something to offer. And so particularly in the case for politics, life experience, real understanding. Whether it’s working in soup kitchens or working on wall street, try to make sure you bring something other than a desire to vote. Other interviews include Graham Moore, Academy Award winning screenwriter and author, Art Bilger, founder of the non-profit WorkingNation, and Meghan Ogilvie, CEO of Dog Tag Inc.
Ian Kahn, who plays President George Washington, gave an impassioned speech celebrating a free press and the First Amendment at this year’s White House Correspondents’ Garden Brunch. Kahn presented Sergeant Major Sedrick Banks (Ret. ), with a Visionary Award for his successes after recovering from severe combat injuries to owning his own small business. Banks was one of the first alums of veteran leadership initiative Dog Tag Bakery. Kahn also appears in this season’s Billions series on Showtime. For more photos from the 2017 #gardenbrunch click here.